Dr. M.S. 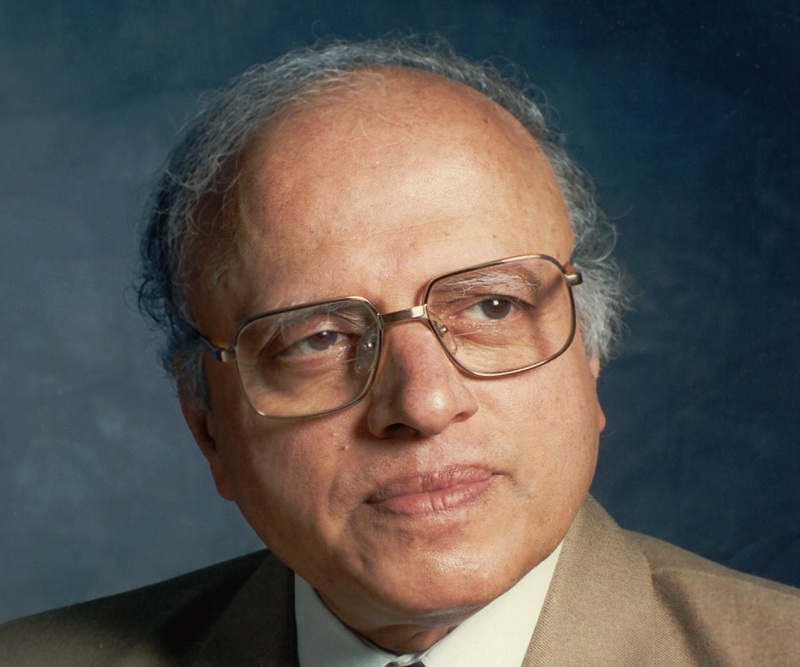 Swaminathan is a renowned Indian geneticist and administrator, who made a stellar contribution in the success of India's Green Revolution program. Check out this biography to know about her childhood, life, achievements, works & timeline. Dr. M.S. Swaminathan is a renowned Indian geneticist and administrator, who made a stellar contribution in the success of India's Green Revolution program; the program went a long way in making India self-sufficient in wheat and rice production. He was deeply influenced by his father who was a surgeon and social reformer. After graduating in zoology, he enrolled in Madras Agricultural College and graduated with a B.Sc. in Agricultural Science. His choice of career as a geneticist was influenced by the great Bengal famine of 1943 during which scarcity of food resulted in many deaths. Philanthropic by nature, he wanted to help poor farmers increase their food production. He began his career by joining the Indian Agricultural Research Institute in New Delhi and eventually played the lead role in India’s ‘Green Revolution’, an agenda under which high-yielding varieties of wheat and rice saplings were distributed to poor farmers. In the decades that followed, he held research and administrative positions in various offices of Government of India and introduced the Mexican semi dwarf wheat plants as well as modern farming methods in India. He has been acclaimed by the TIME magazine as one of the twenty most influential Asians of the twentieth century. He has also been honoured with several national and international awards for his contribution to the field of agriculture and biodiversity. 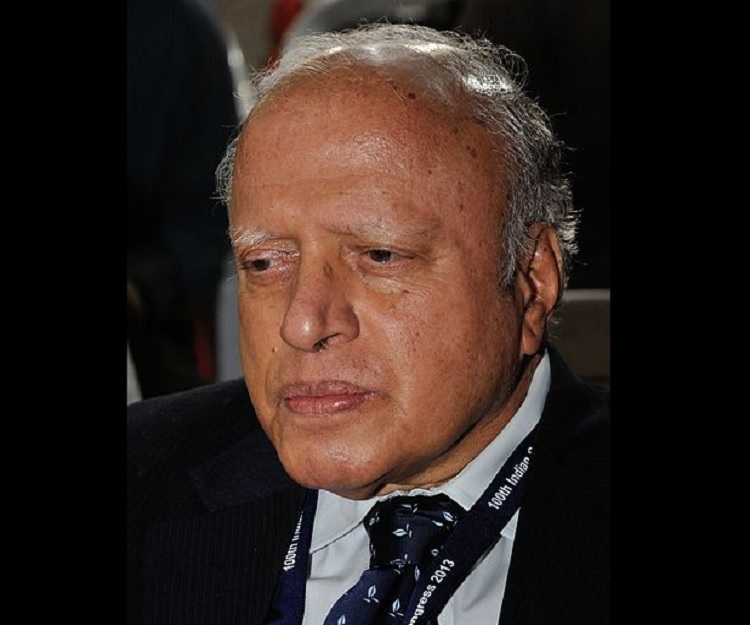 Dr. Swaminathan was born on 7 August, 1925 in Kumbakonam, Madras Presidency, to Dr. M.K. Sambasivan and Parvati Thangammal Sambasivan . His father was a surgeon and social reformer. He lost his father at the age of 11 and thereafter he was brought up by his uncle, M. K. Narayanaswami who was a radiologist. He studied at Little Flower High School in Kumbakonom and later at Maharajas College in Trivandrum. 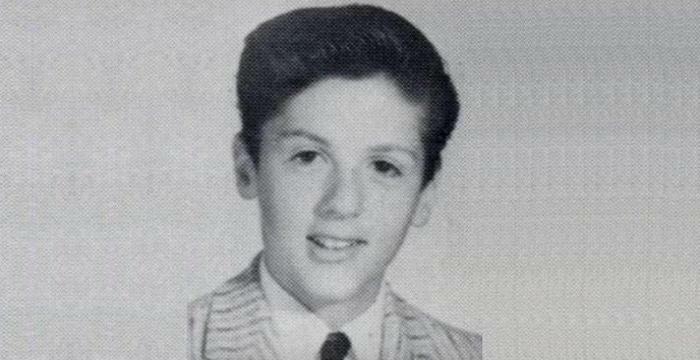 He graduated in 1944 with a degree in zoology. The Bengal famine of 1943 motivated him to pursue a career in agricultural sciences. Hence, he enrolled in Madras Agricultural College and completed his B.Sc. in Agricultural Science. In 1947, he joined the Indian Agricultural Research Institute (IARI), New Delhi and completed his post-graduation in genetics and plant breeding in 1949. He received a UNESCO Fellowship and went to Wageningen Agricultural University, Institute of Genetics in the Netherlands. There, he continued his IARI research on potato genetics and was successful in standardising procedures for transferring genes from a wide range of wild species of Solanum to the cultivated potato, Solanum tuberosum. He then became a post-doctoral researcher at the University of Wisconsin, U.S.A. He was offered a full time faculty position at the university; he refused it and returned to India in early 1954. From 1954 to 66, he was a teacher, researcher and research administrator at the Indian Agricultural Research Institute (IARI), New Delhi. 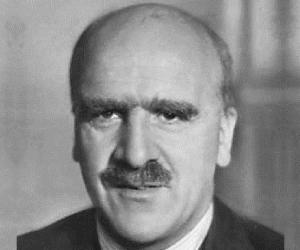 He became the Director of IARI in 1966 and continued till 1972. Meanwhile, he was also associated with the Central Rice Research Institute at Cuttack, from 1954–72. From 1971–77, he was a member of the National Commission on Agriculture. From 1972–79, he was Director-General of Indian Council of Agricultural Research (ICAR) under Government of India. From 1979–80 he was Principal Secretary in the Ministry of Agriculture and Irrigation, Government of India. In mid 1980s, he also acted as Deputy Chairman of Planning Commission of India. From June 1980 to April 1982, he was a member of Planning Commission – (Agriculture, Rural Development, Science and Education) of India. At the same time, he was also Chairman of Science Advisory Committee to the Cabinet of India. 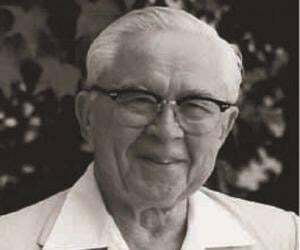 In 1981, he became the Chairman of Working Group on Control of Blindness and Chairman of Working Group on Control of Leprosy. From 1981-82, he was Chairman of National Biotechnology Board. From 1981–85, he was Independent Chairman of Food and Agriculture Organization (FAO) Council. From April 1982 to January 1988, he was Director-General of International Rice Research Institute (IRRI), Philippines. From 1988-89, he was Chairman of Steering Committee for Environment and Forestry of the Planning Commission. From 1988–96, he was President, of World Wide Fund for Nature–India. From 1984–90, he was President of the International Union for Conservation of Nature and Natural Resources. 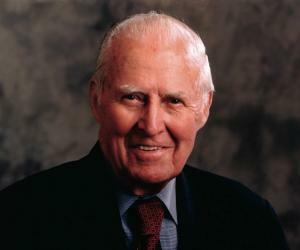 From 1986–99, he was Chairman of the editorial advisory board, World Resources Institute, Washington, D. C. He conceived the first ‘World Resources Report’. From 1988–99, he was Chairman of Commonwealth Secretariat Expert Group. He organised the Iwokrama International Centre for Rainforest Conservation and Development. From 1988–98, he was Chairman of various committees of the Government of India to prepare draft legislations related to Biodiversity Act. From 1989-90, he was Chairman of the Core Committee for the preparation of a National Environment Policy under Government of India. He was also Chairman of High Level Committee for the review of the Central Ground Water Board. 1989 onwards, he was Chairman of M.S. Swaminathan Research Foundation. In 1993–94, he was Chairman of Expert Group for the preparation of a draft National Population Policy. 1994 onwards, he was UNESCO Chair in Ecotechnology at M.S. Swaminathan Research Foundation, Chennai. In 1994, he was Chairman of the Commission on Genetic Diversity of the World Humanity Action Trust. He also became Chairman of the Genetic Resources Policy Committee of the Consultative Group on International Agricultural Research. From 1994 to 1997, he was Chairman of Committee for Research on Agricultural Exports in the context of the World Trade Agreement, Government of India. From 1996-97, he was Chairman of Committee to restructure agricultural education. From 1996–98, he was Chairman of Committee on Remedying Regional Imbalances in Agriculture, Government of India. In 1998, he was Chairman of Committee to draft a National Biodiversity Act. In 1999, he implemented the Gulf of Mannar Biosphere Reserve Trust. From 2000–2001 he was Chairman of the Tenth Plan Steering Committee in the area of Agriculture and allied sectors. 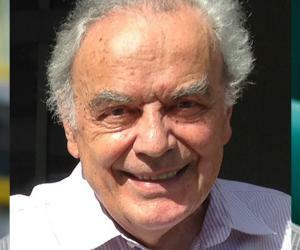 From 2002–2007, he was President of the Pugwash Conferences on Science and World Affairs. In 2004, he was Chairman of the Task Force for a National Policy for Agricultural Biotechnology. From 2004–06, he was Chairman of the National Commission on Farmers, Government of India. In 2005, he was Chairman of the Expert Group for a Review of Coastal Zone Regulation, and Chairman of the Task Group on Revamping and Re-focussing National Agricultural Research System. In April 2007, he was nominated to Rajya Sabha. From August 2007 to May 2009 and August 2009 to August 2010, he was a member of Committee on Agriculture. August 2007 onwards, he has been a member of the Consultative Committee for the Ministry of Agriculture, UNESCO-Cousteau Professor in Ecotechnology for Asia, Adjunct Professor in the field of Ecotechnology at Centre for Advanced Study in Botany, University of Madras, and IGNOU Chair on Sustainable Development. August 2010 onwards, he has been a member of the Indian Council of Agriculture Research Society and September 2010 onwards, he has been a member of the Committee on Science and Technology, Environment and Forests. Presently, he is also a member of the Leadership Council of Compact 2025, an organization that guides decision-makers at eradicating malnutrition in the next decade. 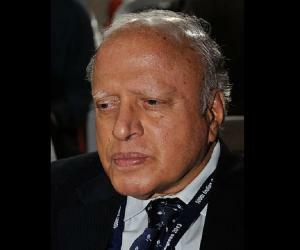 Dr. Swaminathan is celebrated as the leader of India’s ‘Green Revolution’ program. He is also a resourceful writer. He has written several research papers and books on Agricultural Science and Biodiversity like ‘Building a National Food Security System, 1981’, ‘Sustainable Agriculture: Towards an Evergreen Revolution, 1996’, etc. Dr. Swaminathan has received several awards for his contribution to the field of Agricultural Science. He has received the prestigious Ramon Magsaysay Award for Community Leadership in 1971, the Albert Einstein World Science Award in 1986, the UNESCO Mahatma Gandhi Prize in 2000, and the Lal Bahadur Sastri National Award in 2007, among other achievements. He is the recipient of national honours like Padma Shri in 1967, Padma Bhushan in 1972 and Padma Vibushan in 1989. Moreover, he has received over 70 honorary PhD degrees from world-wide universities. Dr. Swaminathan is married to Mrs Mina Swaminathan since 11 April, 1955. The couple has three daughters together.